Even though WordPress offers a lot of features to its users, you can't expect from it to do everything for you. Here are some useful tips that will help you use WordPress to its full potential. WordPress has become the most commonly used CMS (Content Management System) platform for hosting websites. Nowadays, it’s practically impossible to imagine running a business without a highly functional and reliable site to back it up. Today, thanks to WordPress, anyone can have just that; and the beauty of it all is that you don’t even have to be tech-savvy. Apart from being incredibly user-friendly, WordPress doesn’t require hefty investments either, and that’s probably the number one reason why so many websites (27.5% to be exact) are hosted on this particular platform. The expectations of online consumers increase each year, so personalization options, immediacy, and seamless experience when browsing through websites or blogs have become merely mandatory. That’s why webmasters need to give their best to try and improve their sites and meet – if not even exceed – consumer expectations. Listed below are some useful tips that will help you use WordPress to its full potential and provide your audience with the best possible experience. In most cases, websites are filled with various files that can significantly slow it down, including the page loading time. That’s where minification process can help get rid of those files and speed up your website. In other words, minifying is the process of cleaning up the code and getting rid of excess characters that aren’t necessary for the code itself to execute appropriately. For example, block delimiters, white space characters, new line characters, comments, etc. People prefer visual content which means that a blog or a website saturated with visuals will drive more visitor engagement. However, keep in mind that online consumers don’t look kindly on slow websites, and visual content of high quality will most likely slow down your site’s load time. The numbers are staggering, as 47% of people expect a page to load in less than two seconds and 64% of mobile users will give up on a page that loads in more than three seconds. Therefore, it’s not difficult to understand why optimizing your visual content is so important. You can quickly do that by using not only the images of the appropriate format but also the proper size. As with everything else nowadays, WordPress updates are frequent. So, it goes without saying that you should update your WP website (or blog) every time there’s a new update available, to make sure everything’s working correctly. However, you need to pay attention to these updates and carefully monitor them before you decide to implement them. Before any installation, make sure you backup everything you can, just to stay on the safe side, because you never know how updates will affect your website and its performance. That way you’ll be able to restore everything to its previous state and protect any information you had in case something goes astray during the update. Moreover, it would be wise to have a reliable hosting option, such as cPanel hosting, at your disposal to ensure everything goes smoothly. 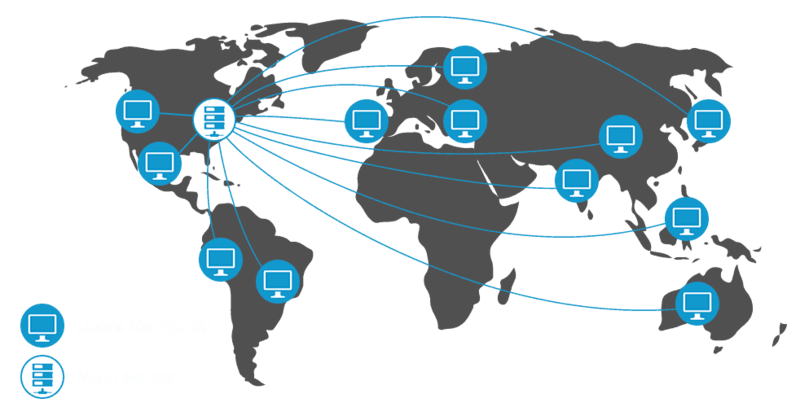 Nowadays, you can use CDN (Content Delivery Network) to make your content more accessible worldwide. That way, your visitors can access the content on your website without having to request access to your hosting provider, where CDN redirects your blog or website visitors to a server closest to their location. Consequently, your visitors will be able to consume your content without any latency. This will not only improve your website speed, but it will also boost your server responsiveness. There are a lot of WordPress plug-ins and features that can be added to your website or blog. However, too many plug-ins can lead to overcrowding. Also, since WordPress is an open source project and it accepts third-party plug-ins, there are a lot of things that can come into conflict with either your website or each other. These conflicts could, of course, either slow down your site or even crash it. Additionally, some plug-ins may contain vulnerabilities that can easily be exploited by hackers. That’s why creating custom features for your website is always the smartest choice. Either you can choose to hire someone to design those features for you, or you can do it yourself if you have the necessary knowledge. Whichever you decide, it’s better to implement reliable features than potentially jeopardize your website’s performance. So, even though WordPress offers a lot of features to its users, you can’t expect from it to do everything for you. This means that, if you want to use it to its maximum potential and ensure you have the best possible website, you’ll have to customize it to a certain extent. Published on March 5, 2018 by Raul Harman. Filed under: How To, performance, speed, WordPress. Very useful article about using WordPress. There is no doubt that WordPress is a very popular platform and it only gets better with time. Due to its userfriendliness it is used by a very large number of users but it has other powerful features other than just hosting. Your article sheds light on the different features which we can and should use for best performance of our sites. Thank you for taking an interest in our blog!